Today, many people around the world are already familiar with the cloud—or, at least, has used a service in which the cloud is an invisible, but integral part. In the context of computing technologies, the cloud is no longer thought of as some abstract destination, but rather, a set of services and features that are employed for the benefit of an end-user. The process of cloud computing, which involves the use of network of servers hosted on the Internet in order to process, manage, and store large amounts of data—is a process that is now universally seen as something that transcends the form of computing that is reliant on local servers. Cloud computing seems best associated with large tech conglomerates like Facebook, whose system is said to process 500 terabytes of data every day. Thus, it’s understandable that small business owners may seem intimidated by it at first. They might assume that such technology comes with a hefty price tag, and is only sustainable on such an enormous scale. But on the contrary, cloud computing has now become increasingly viable for even small and still-developing businesses. The ubiquity of public, private, and hybrid cloud services has made cloud computing accessible, and the prices for these services have dropped from within an aspirational range to a more affordable one. Small business owners can now look to cloud computing to increase their agility with data, their business efficiency, and their profits. Here are just a few of the reasons why cloud computing can achieve all these, and why the technology is perfectly adaptable to growing businesses. One of the first processes that businesses accomplish when they adopt cloud computing is the integration of cloud and on-premises data, or the data that is produced, kept, and processed exclusively within the local servers of a business. Once the data is consolidated from across the different locations or departments of a business and moved to the cloud, it can be accessed and processed anywhere, and thus serve as a reliable basis for work to be done in near real-time. For small businesses that want to increase their business efficiency by working more hours, or enabling flexible remote-work options for their employees, this cloud computing setup is ideal. After all, data-driven tasks and services need not be limited to the business premises alone. 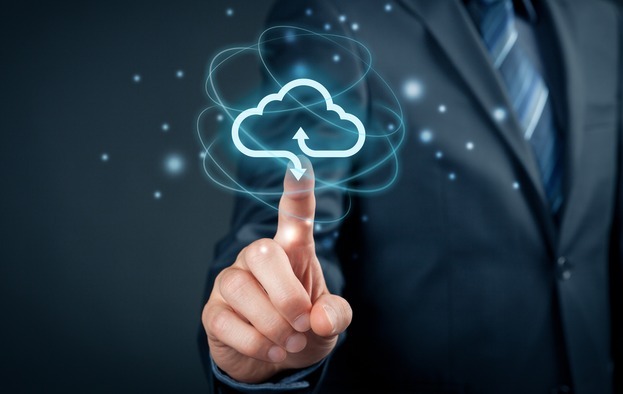 Choosing to move business data to the cloud for cloud computing can also help safeguard against downtimes due to disasters or technical challenges—which, as any small business owner would know, can be very costly to operations. Migrating data to the cloud ensures that the business data is safe, securely kept, and easily retrievable, thereby cutting the chances of an enterprise being severely affected by downtime or untimely data loss. Your organization can take a great technical leap forward by integrating a service like Redshift. In most arrangements for cloud computing services, it is the cloud vendor who assumes responsibility for software updates and installments. Fledgling business owners won’t have to worry about allotting staff to complete tasks such as server management and regular updates, as these will be done with greater efficiency and expertise by the cloud vendor. They also won’t have to maintain expensive physical servers on site. These allow for greater savings in terms of IT and overhead costs, and more of the business expenses can be directed toward income-generating activities. There is no one-size-fits-all kind of philosophy to cloud computing, and as such, a cloud software solution can be tweaked to match the business’s unique needs. A business owner can purchase cloud services that are scalable to their industry type and their operations, as well as choose the coverage of services that the cloud vendor will provide. If you currently run a small business and are exploring cost-effective options to make it grow, then perhaps you should put cloud computing on the list of your priorities. This versatile, adaptable, and scalable technology may be just what you need to equip your business for the future!